This case was designed for the University Of Oregon to be a portable charging workstation for the team when they are on the road. The electronoics were spec'd and installed by our in house custom integration department. The case features 30 individual slots for iPads with 4 large drawers mounted below for additional storage. The iPad compartments have individual Apple 30pin power cables in each slot that are harwired into the case allowing players to quickly plug their device in and walk away with out the need to bring their own charger. The 4 drawers below the iPad charging section are built from 1/2" baltic birch and are mounted on HD Accuride drawer glides. 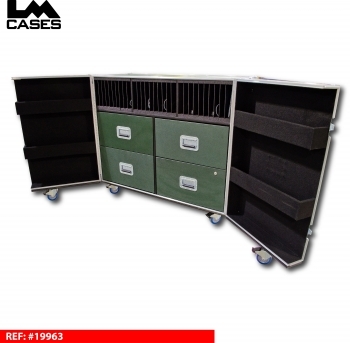 The drawers were designed to provide additional storage for laptops, computer bags and other pepherials. 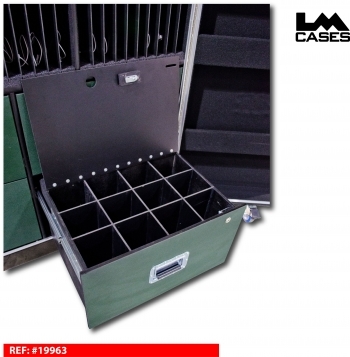 The bottom right side drawer features 12 individual compartments with a lockable lid for coaches valuables such as phones, wallets, car keys and other small items. The case doors have 2 shelves each for small items like cell phones that do not need charged but need a space to be stored. 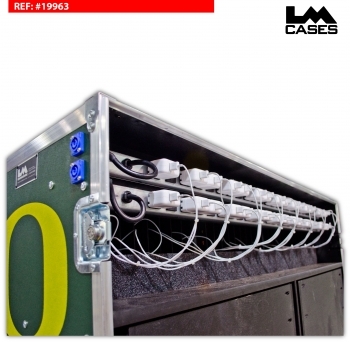 The case featues dual 24 outlet power strips that feed through to two Powercon connectors on the case exterior. 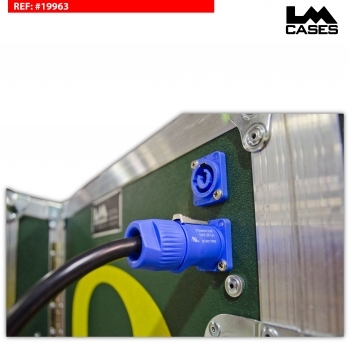 The Powercon connectors are twist lock power connectors so the power to the case can not be accidentally disconnected during charging. 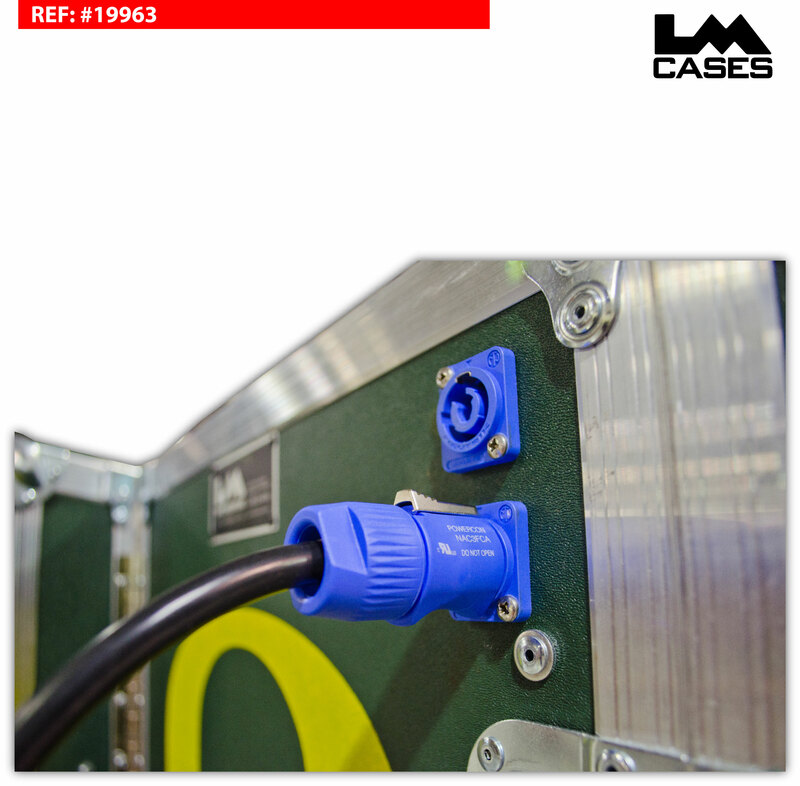 Custom 25 foot Powercon to standard male Edison connector were provided with the case. The exterior case is built out of 3/8" plywood and features a split front lid and removable rear lid for easy access. 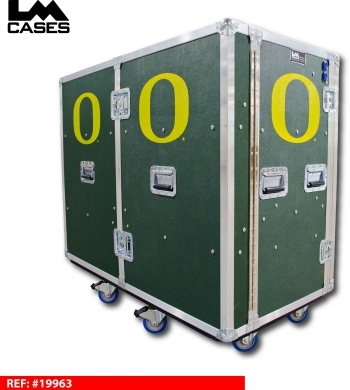 Other options include 4" Colson casters, locking latches and a custom silkscreens of the Oregon "O".